You may often hear Beauty Bloggers and Youtubers referring to their HG products in their videos or posts. I wondered what this meant for the longest time, it was only after being immersed in the beauty community for a while, that someone explained to me that they were referring to their "holy grail" products. This is a product that works really well for someone, their absolute favourite, preferred product from a certain category that they just can't live without. Today I thought I would take you through my holy grail products, and the products that I most often repurchase without a second thought! There aren't too many products I am willing re repurchase without a second thought, breathe or look at my bank account but the items I am talking you through today have proved their worth, and I have not tried anything else that works quite as well for me! In terms of makeup products, one of my holy grail bases for everyday use is the IT Cosmetics Your Skin But Better CC Cream in Medium, I have gone through two travel-sized tubes of this stuff, and eventually went on to purchase the full-sized version from Beauty.com before it became widely available in Australia through Beautylish.com. It is a lot more accessible for Australians now which is great! I have raved about this CC cream in my Battle of the BB/CC Creams Post as well as my 2015 Beauty Favourites Post. In a nutshell, you get a gorgeous medium to full coverage, hydrating foundation that wears extremely well, while still providing 50+ SPF and lots of hydration without making you shiny. Next up, a primer that just cannot be beaten in my eyes is the Bare Minerals Brightening Foundation Primer. I love the packaging, with the easy to use pump bottle, and the consistency is the perfect hybrid between a silicone primer, and a hydrating base, feeling creamy and smooth on the skin. It blurs out fine line, enlarged pores and imperfections and creates a perfect base for your foundation. It isn't greasy, it blends out easily and it's no fuss. For powders, I have been bouncing back and forth between the Australis Fresh and Flawless Pressed Powder in Deep Natural, which provides additional coverage without looking cakey and a true matte finish, and the MAC Cosmetics Mineralize Skinfinish Natural in Medium Plus which provides a more natural, glowing finish with just a small amount of coverage. Depending on how my skin is looking, and what type of coverage I'm after, these two never fail. I have repurchased them both half a dozen times and will continue to do so until I find something I like better. Finally, for mascaras, I am constantly on the hunt for a drugstore mascara that I like as much as my one and only Benefit Roller Lash Mascara. This is an amazing mascara, that coats the lashes in an ultra black formula, lengthens, adds volume and also keeps them super curly. I love the unique wand, making using this mascara mess free, and works well to coat even the tiniest lashes in the inner corner. I find this mascara lasts really well on me and I haven't had any issues with smudging. The only thing I don't like about this mascara is the $42 AUD pricetag. Moving on to some skincare favourites, you are probably sick of hearing about my love for Skinstitut products. but I just can't find any other scrubs that work as well for me as the Skinstitut Glycolic Scrub* which provides chemical exfoliation and physical exfoliation by combining 14% glycolic acid with jojoba beads to buff away dead skin cells. It's the perfect recipe for me, and this has greatly reduced my active breakouts and helped to improve my skin's texture. I have a brand focus post on Skinstitut you can read here. When it comes to hydration, I have been obsessed with the Origins Drink Up Intensive Overnight Mask for well over a year, maybe even two! I featured this bad boy in my 2015 Skincare Favourites where you can read more about it. Basically, this is my number one moisturiser for when my skin is feeling lackluster, to combat dry patches, to slap on before bed, and wake up with nicer looking skin. It's great for long-haul flights because you can barely see you are wearing anything unlike many other traditional face masks. My skin soaks up this stuff and doesn't tire of it's amazing hydrating properties like avocado kernel oil. Looking at how many bottles of this stuff I have purchased, you can definitely say it is worth the hype. Next up, my all time favourite cleanser for removing makeup and making my skin feel amazing is the Delicious Skin Clean Butter Cleanser. This is a gorgeous thick, buttery cleanser that removes all my makeup with no trouble at all, while still being very hydrating and natural. Delicious Skin is only available online which is probably the only con about the product. The cleanser is housed in a gorgeous glass tub, and because the formula is coconut oil-based it actually turns to a liquid if kept out at room temperature during the warmer months. I prefer to use it as a solid cleanser so I keep mine in the fridge, and once the temperature drops a little it will remain as a solid during the winter. Finally, my #1 setting spray of all the setting sprays I have tried is the Skindinavia Bridal Setting Spray. You can read my Setting Sprays 101 Post Here. For me, this one is my favourite over all others and really helps my makeup to last all day and night while still leaving a very natural finish. I am on my third bottle of this spray and it does last quite a while. I think it's definitely worth the money! 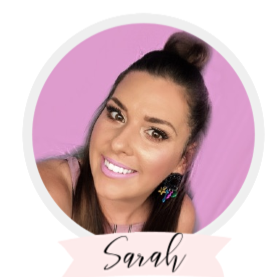 Well, that is a roundup of my absolute favourite products that I just love so much and would recommend for anyone to try!!! Please let me know if you found this post useful!